Blessing the home is a time honored tradition using chalk blessed by your parish priest or deacon. Just ask, he will be happy assist. The tradition is to mark the main entrance door with the year and with the inscription CMB; the initials of the three Magi by legend: Caspar, Melchior and Balthasar. The inscription also stands for Christus Mansionem Benedicat, which means “Christ, bless this home.” The popular form the inscription takes is 20+C+M+B+14. Traditionally, it remains over the doorway until Pentecost. Different parts of Europe have different traditional recipes for the Epiphany cake — from the almond-paste-filled pastry, the French “galette de Rois” topped by golden paper crown, to the British fruit-filled, iced and layered confection. Some bakeries feature these cakes during the holiday season. I pray that that you have a festive day and enjoy the last week of Christmastime. Also, eat something spicy (another tradition) today in honor of the Magi from the East. 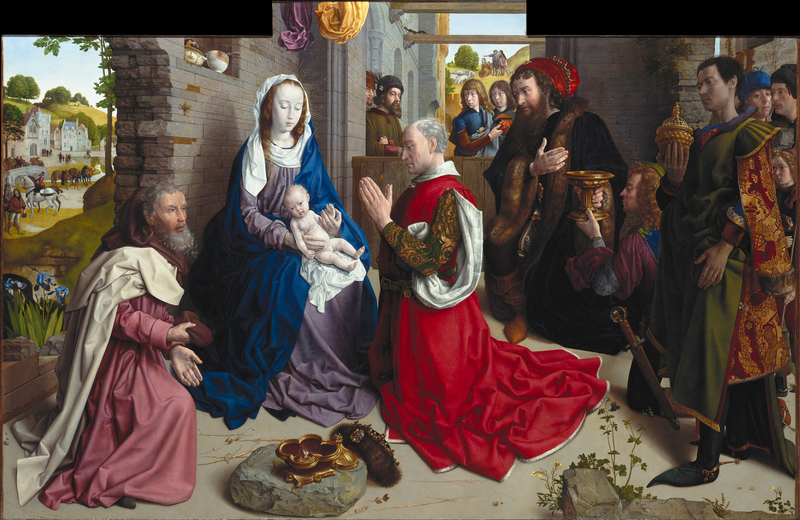 This entry was posted in Deacon Marques Silva and tagged Catholic culture, Christmas, epiphany, faith, holy day, magi, solemnity, three kings, tradition. Bookmark the permalink.